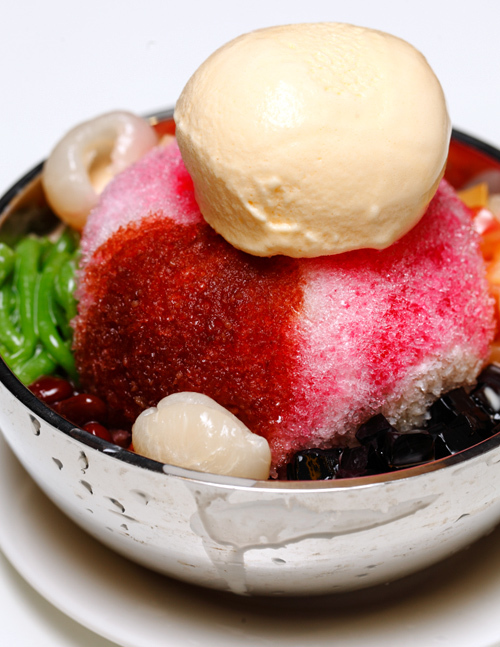 If you love Nyonya Cendol, you should make your way to Summit Subang USJ as quickly as you can. 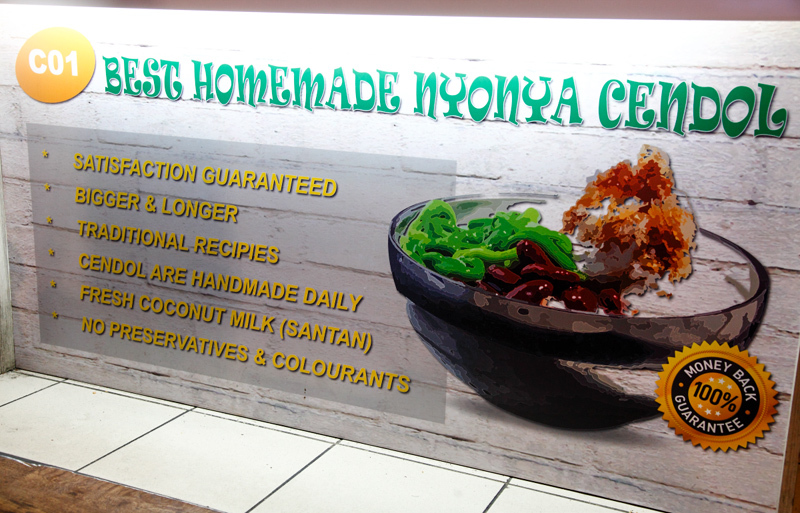 There’s a quaint cafe at the lower ground floor going by the name of Nyonya Cendol Cafe which serves possibly the best cendol in Klang Valley. I happen to know about this place through Benson, a close friend of mine who is also a fan of Aunty Koh’s cendol. Ever since he found out about this cendol he had been pestering me to try it for the longest time. What makes the Nyonya cendol here (RM4.30) so good is that they insist on using fresh ingredients that are prepared daily. 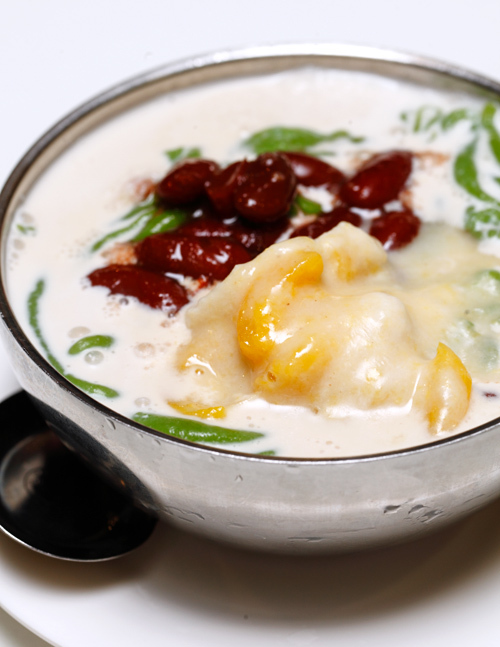 But what really sets this cendol a class apart is their santan, it’s extra thick and creamy with the most wonderful aroma. 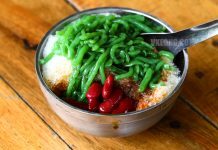 The cendol ‘worms’ are thicker and longer than usual too, expertly made with a jelly-like texture and do not taste mushy at all. 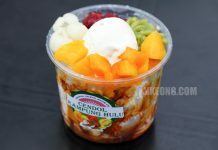 When it comes to icy desserts like ABC and cendol, you’d notice that I am very particular about the ice. If it’s lumpy it’s usually an instant fail. For me, a good cendol/ABC must have fine and powdery ice flakes that melts on your tongue. With that in mind, I am glad to say that the shaved ice here passes my test. That means at least someone is taking effort to sharpen the ice shaver’s blades here. 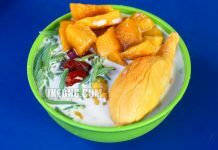 You can also request for fruit toppings like durian and nangka (as shown above for extra RM2.20) to be added on your cendol. I don’t really recommend it though, not because they taste bad or anything, but because the portion is quite small. If that does’t bother you then then by all means go ahead. We also tried the ABC with longan @ RM7.20. It was enjoyable alright, there’s no doubt about that. Overall, I’d rate the cendol here fantastic and I have to say Benson’s recommendation was spot on. Finally, a cendol as good as Aunty Koh’s can be had in KL without having to go all the way to Melaka. 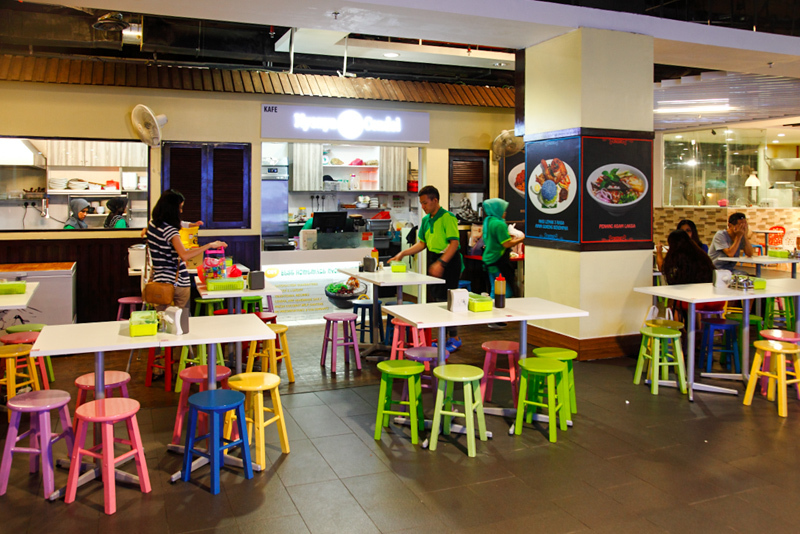 Lastly, for your information, Nyonya Cendol Cafe and Old Seremban Station kopitiam just opposite are owned by the same boss. 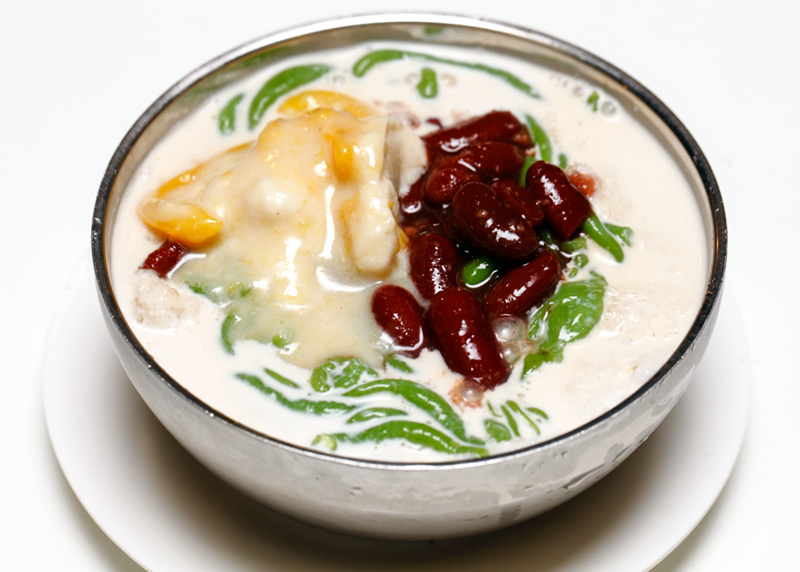 Therefore, you can expect the same tasting cendol at both places. However, I was told that the shaved ice churned out Old Seremban Station is not as refined.